In a moment of hesitation...... involving a bovine, Mark Smelser was able to sneak away from, and hold off, for 70 miles!, the hard charging Corey Godfrey and Dan Hughes. Troy Krause rounded out the top 4. Matt Wills won the SS division. James Stamper (no relation) walked away with a custom fitting session with Carmichael Training Systems with a hand of two pair, and Craig Schimdt won a hour massage at lotus health works with two aces! Great time and fellowship were had by all. My apologies for the marginal directions. Several folks got to spent some quality time in a bar in Alta Vista, waiting for transportation. Glad that you guys got to meet bearded Tom. More details and a better synopsis later once I unload everything and and collect myself. Big Shout out to our gracious sponsors, Sunflower Outdoors, CTS, Cycle City, Big Poppies, City Billy Cycles ( the shirts were a huge hit! ), Spilker Ales, Chamois Butter and Lotus Health Works. Many thanks to all the participants that made this event happen, and to my lovely and gracious wife who does not smother me in sleep for hosting events like this, and dispenses goo and pizza with the utmost grace and panache. Looks like the cows are up to somethin, and it don't look good. See Here for a google document which includes a link to the updated course map and the cue sheet. Familiarize yourself with the course several times by reading the cue sheet and looking at the map. You must print off your own copy of the map and cue sheet! I will not have any on the day of the event, if you forget one you better start making friends real quick. Where:We will be leaving the gravel lot on the corner of Wreath Ave. and Robinson Dr. on the western side of Cico Park in Manhattan, KS. You can leave you cars in the gravel lot there. I rode the course on Saturday and it took me about 7 hours of saddle time, rolling on a 42:18 gearing. All road were in good shape and assuming we do not receive rainfall of biblical proportions in the next few days the roads should be in great shape. I will make sure that the course is marked with spray paint on the gravel sections. I will not paint paved roads so use those maps! Let me know if you have any questions. I will not get back to you until after 11 am tomorrow since I am preparing for 900 level plant physiology final. Looking forward to seeing you crusty faces. Is your daily calcium intake met by the limestone dust that accumulates on your water bottles? Is your idea of fun hurtling down a gravel road at 35 MPH? Do the people at Casey's General Stores know you by name? Does your family stare at the ground and softly talk about your "gravel problem"? If so we have got something for you! 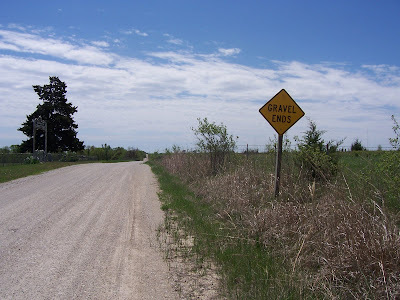 ........the Gravel Conspiracy present a gravel ride in the northern flinthills just in time for you to get in that last long ride before the Chase County madness that is the Dirty Kanza 200. Its FREE. If that does not get you here nothing will. 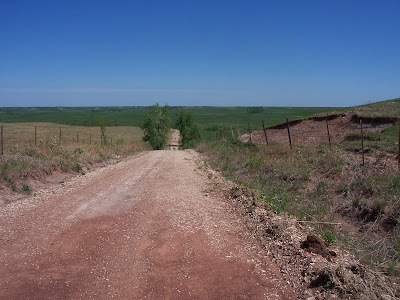 It will be a little over 100 miles of flint hills chert-limestone and B-roads. We will have aid stations with the kind of food that we think that you would want in the midst of a long ride (pizza, PBJ, fruit, pretzels, assorted beverages) with donations being accepted to off set these costs and benefit the K-State Cycling program. This ride is all about fun, fellowship, and making sure that you have got it together for the other longer rides that we hold so dear to our hearts. Bear in mind that you are on your own, and we will not come get you. 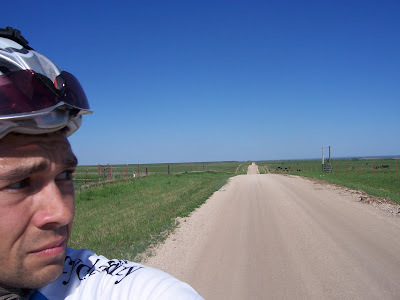 We will Start the race/ride from Cico Park in Manhattan, KS, leave the town via the linear trail. The course will be "painted" once the route is finalized. Hopefully we will finish the Race at the LAB for some good eats as its only about 400 yards from where you left your vehicle at the start. So How does one go about signing up for this soiree? You need to shoot me an email with your name, age, and home town. Field size will be limited to 50 so I can simplify the logistics.